This was originally published on the Pollen + Grace blog, as part of their Food Diary series. 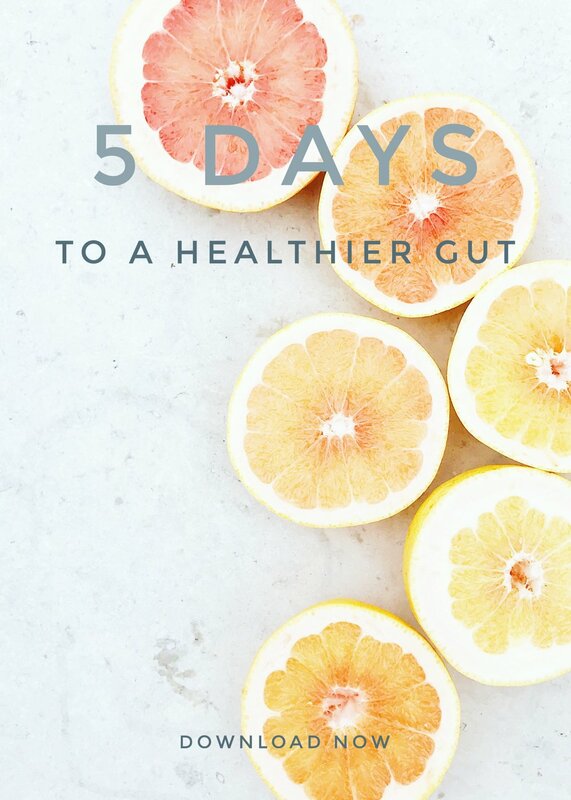 Read on to find out what and how our Founder, Alana eats to keep her gut in good health. Approach to food: I love to eat intuitively, according to the seasons… not only that, but according to the weather and how I’m feeling on any given day. After a lifelong battle with eczema, I have now found the key to managing it with the right foods for my body, and a complimentary lifestyle, too. I like to maintain a balanced, healthy gut and so eat/drink ferments every day… just as well I run a company that makes them! I tend to start day with about a pint of warm water. I really find it gives me immediate energy following sleep. I’m really not a lover of cold water, so will always drink it at room temperature or warm/hot. I usually have breakfast about 10.30 as I struggle to eat too early in the morning. I like to allow my body time to build up a good hunger! Now that Spring is here, I’ve swapped my porridge for smoothies. This morning’s is organic cooked beetroot (I cook up a batch and then freeze it for smoothies), organic frozen strawberries from last Summer, a green banana, which is a great source of prebiotic fibre, coconut yoghurt, goats milk Kefir for the all-important probiotics, Plenish cashew milk (my favourite) and a little raw honey for a some more prebiotic love! I also take an omega 3 supplement; generally speaking, I’m not a massive supplement advocate and prefer to get what I need from my diet, but as I am prone to really dry skin, I find this one helps. I grab a small handful of Brazil nuts as I head out the door. At 1pm I have a chunk of goats Gouda and another pint on warm water whilst waiting for my lunch to cook. I can tell it’s going to be a hungry day for me today! At 1.30, I have a lunch of sliced avocado roasted chickpeas with nigella seeds, soft boiled egg, roasted sweet potato, Fennel + Lemon Kraut from the Fermented by LAB Spring Collection, steamed broccoli & kale. 3.30 small glass of Kombucha as I need a bit of a kick! I drink a Golden Mylk before bed and soak some oats for tomorrow morning’s porridge… I mentioned Spring too early and hear it’s due to snow tomorrow! 10am - I start the day with two huge mugs of warm/hot water again and follow it with the porridge I soaked last night. I always soak my grains/pulses/legumes to make them easier on my digestive system. My porridge toppings are roasted rhubarb, coconut yoghurt, a little raw honey and some chopped Brazil’s. 3pm - Lunch is a chunk of goat’s milk Gouda (I can’t get enough of it!) and roasted broccoli, carrot, fennel, sweet potato and nigella seeds with a soft-boiled egg (again!) Despite it being the weekend, I’m working and need something easy to cook which doesn’t require too much thought! 5pm - I have a bottle of Red Grapefruit + Rosemary Kefir from the Spring Box. I’m lucky enough to be able to delve into a good selection of seasonal ferments… it means I don’t get bored with eating the same Kraut all the time! 7pm - I try to stop eating by 8pm so that I can give my digestive system a break overnight. As I had a late lunch, I’m not overly hungry so make a beetroot, carrot (both cooked and frozen), blackcurrant, green banana and goats kefir smoothie and have a mug of chicken bone broth. I drink a small Golden Milk just before bed. They really relax me and as I have a history of eczema, find they really help keep my inflammation at bay. Best piece of advice about health + wellbeing? Don’t search for all the answers in one place. Every day, I try to remind myself that it’s not just about a healthy diet, a good exercise regimen, good quality sleep or daily meditation practice, for example, it’s a combination of all of them that allows you to live your healthiest and happiest life.